Technology TDOA | Location Running. The basic principle is shown in Figure 1. 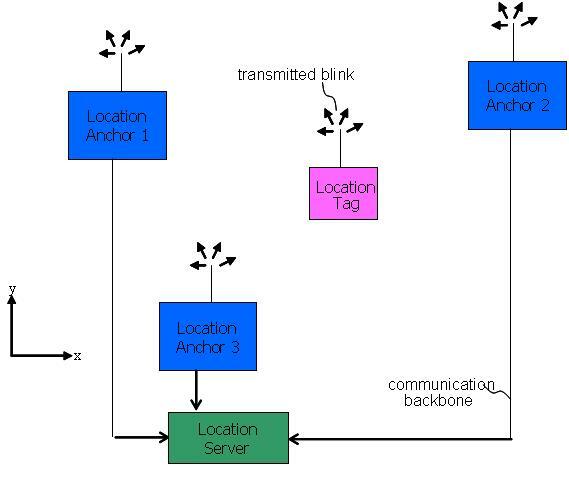 A location tag transmits broadcast messages (often called blinks) which are received by location anchors. The location anchors generate TOA stamps for the blinks received. The TOA stamps are reported to the location server through a wired or wireless communication backbone. The location server calculates the TDOAs from the reported TOAs. Based on the TDOAs and the known positions of the location anchors it estimates the coordinates of a location tag.